Have you ever wonder why is it causing frequently? Well, it could all be due to Food Intolerance. You might have heard of terms like food allergy, food intolerance, food sensitivity, food hypersensitivity, so what does all this mean? In a nutshell, all are often used interchangeably, and are often confused, but essentially they all mean an abnormal reaction to certain foods which can manifest themselves in a number of ways. Food hypersensitivity is used to refer broadly to both food intolerances and food allergies. Food intolerance is a non-allergic food hypersensitivity to food products. In simple terms, it refers to difficulty in digesting certain foods which can make the person feel extremely unwell. But don’t worry, it is not usually life-threatening. Intolerance can result from the absence of specific chemicals or enzymes needed to digest a food substance, as in hereditary fructose intolerance. It may be a result of an abnormality in the body’s ability to absorb nutrients. Traditionally, the way to define a food intolerance was by trial and error. The symptoms are not always related, which makes it difficult to track because you don’t know which diet to eliminate. That’s why at Health Culture, we do blood test which are less time-consuming and you get faster, accurate and more reliable results. Can Anyone React To The Food They Eat? Yes, some people are sensitive to particular foods like nuts, shellfish, and cereals. When consumed, their body reacts to the foods and they may develop symptoms like breathing problems, stomach upsets, and skin rashes. The adverse reaction to food is either caused by an immune system response or a chemical reaction in the body leading to physiological responses. Food allergies involve the immune system whereas food intolerances involve the digestive system. Food intolerances is a detrimental reaction that is delayed by hours or even days, but can worsen with time if the intolerant food continues to be consumed. Because of that delay, it’s more difficult to identify. Dairy, wheat, gluten, and yeast are the major culprits. A professional diagnosis is important, because other medical conditions may share the same symptoms. What Foods Are Tested & What If Test is Positive? Food Intolerance tests for reactions to the foods like Cereals, Nuts & Beans, Meat, Fish, Vegetables, Fruits etc. If the test is positive to any of the food groups in the test, the simple act of removing them from patient’s diet* for a period of up to 3 months or more can completely change the life. Once symptoms have subsided, foods can be reintroduced into the diet one at a time. *Changes to diet should only be made after consultation with a qualified nutritionist. 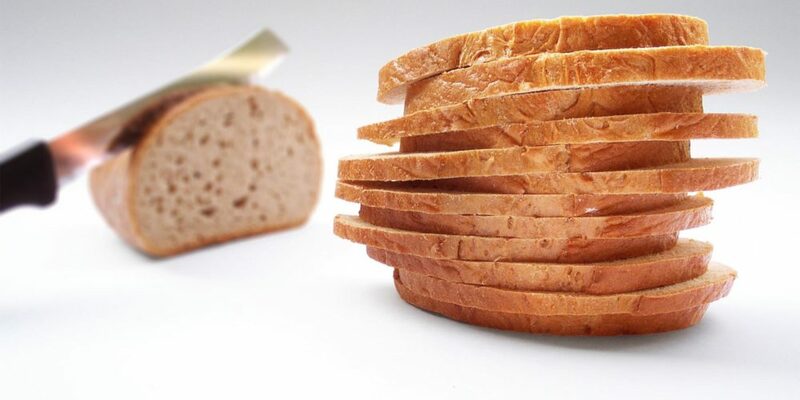 Food Detective has been developed to measure food specific IgG I antibodies in blood and not IgE antibodies that are associated with classical allergies. Also, Food Detective results do not indicate any specific medical condition. To know the difference between IgE & IgG reaction, click on our free guide book. Around 59 Common Food Items are Tested in the Food Intolerance Test. Your blood sample will be collected by the lab technician. You will get the results in less than 1 hour. It’s the most simple, safe, accurate and fast test. You will then receive a detailed report which will interpret the foods that you are bound to be intolerant to and can cause many health issues. Food Detective is the world’s first self-contained test for food intolerance. It detects intolerance to 59 common Indian foods. 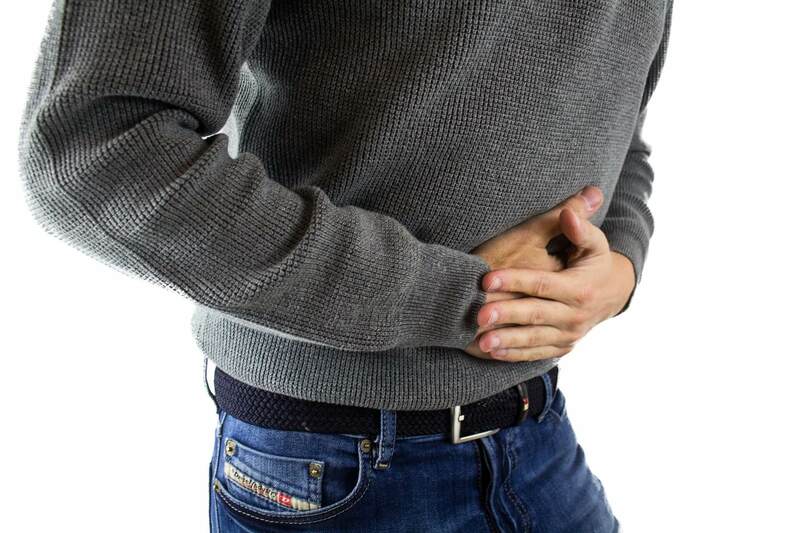 Food Intolerance means either the body cannot properly digest the food that is eaten, or that a particular food might irritate the digestive system. Food Intolerance happens when your body lacks the enzyme which are used for digestion. How does food intolerance affect the body? Food intolerance can affect the body through various factors such as dairy products, grains that contain gluten, wheat, yeast, caffeine etc. which causes different food intolerance symptoms. What does food intolerance do to your body? Some of the common problems found in our body are tiredness & fatigue, stomach pain, skin problem, chronic muscle or joint pain, headache & migraine. These health issues are caused due to food intolerance. What are food intolerance symptoms? The common symptoms found in food intolerance are Anxiety (acute or chronic), Arthritis, Asthma, Bedwetting, Bloating, Constipation, Insomnia, Weight issues, Depression, Diarrhea, Headaches, Itchy skin problems. Traditionally, food intolerance was done by trial and error. The symptoms were not always related, which made it difficult to track because you don’t know which diet to eliminate. 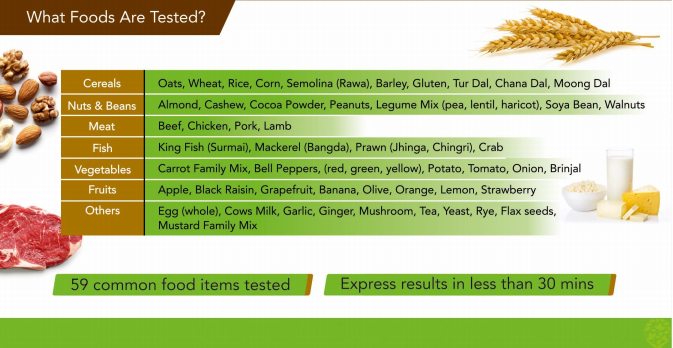 That’s why at Health Culture, 59 common Indian food items are tested through blood test. The detailed report is provided within 60 minutes and you get faster, accurate and more reliable results. Are food intolerance blood test reliable & accurate? Yes, blood test are reliable and accurate in comparison to the traditional method of trial & error. At Health Culture, 59 common Indian food items are tested through blood test. Accordingly, you can structure a good diet plan based on the result. Check out our free guide book, there is our sample test report of patient in our free pdf booklet for you. Are food allergy and food intolerance the same? No. Food intolerance and Food Allergy are two different concepts, though the symptoms may seem a bit similar sometimes, people often confuse intolerance with allergy. 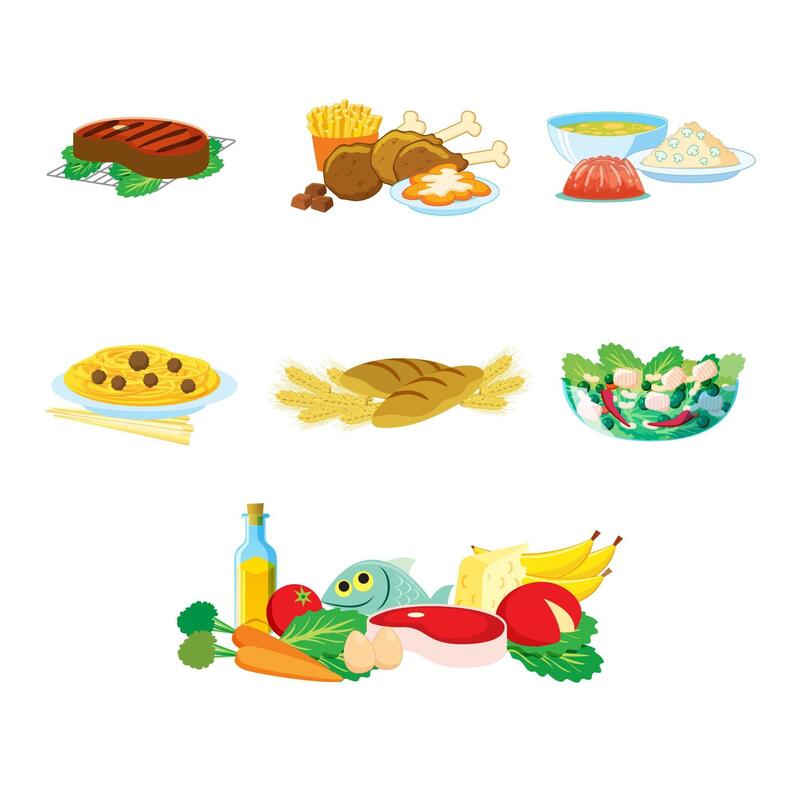 Food allergies involve the immune system whereas food intolerances involve the digestive system.